Recommended by Nina Power: This unparalleled, fragmentary work, translated by Samuel Beckett himself from French in 1964, is a pinnacle of formal and poetic innovation. Written entirely without punctuation, in brief, often repetitive, blocks, a voice, surfacing from a sea of dark mud, speaks in gasps of its passage through this strange, purgatorial, realm: "on my face in the mud and the dark I see me it's a halt nothing more I'm journeying". The three parts of the novel roughly correspond to the time before, during and after an often moving, sometimes extremely sadistic, encounter with another traveller, Pim, in which, the voice recalls, the couple were "glued together like a single body in the dark the mud". As the voice drags its sole possession, a sack filled with tins of fish, the relentless journey is interrupted by images of another life: a blue sky, a first love, flashes of light. Far from being a difficult or alienating text, the rhythmic and poetic elements of the prose exhibit a curiously hypnotic quality, confronting the reader with rare moments of beatitude, as well as scenes of graphic and comic violence. 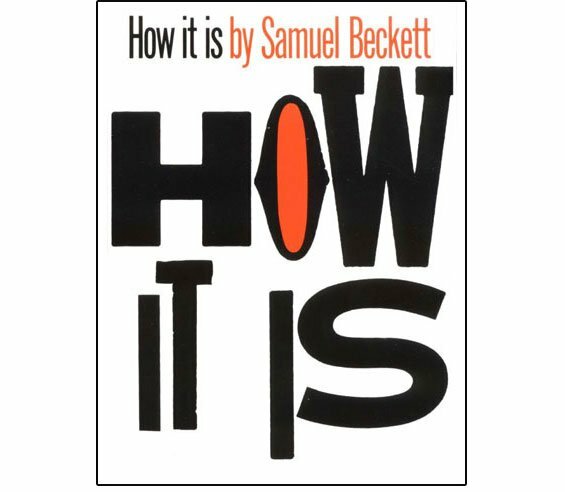 How It Is remains one of Beckett's most formidable achievements, a singular paean to the persistence of words and the perpetual anguish of beauty. 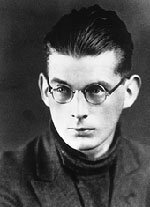 About the author: Born in Dublin in 1906, Samuel Beckett is one of the most celebrated writers of the 20th century. His masterpieces include Trilogy: Molloy, Malone Dies, The Unnamable (1951-3), Wating for Godot (1952), and Endgame (1957). He was awarded the Nobel Prize for Literature in 1969. A series of events to celebrate the centenary of his birth are being held by the Barbican Centre, London and the Beckett Foundation. For more information on his life and works see The Samuel Beckett Society website.